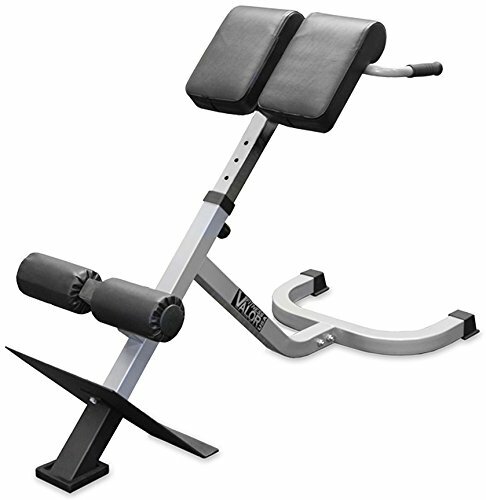 The Valor Fitness CB-13 Adjustable Back Extension is a great tool to build lower back muscles as well as strengthening and conditioning the obliques and abdominal muscles. The Adjustable back extension (or reverse sit up) can be used with only your body weight or conjunction with additional weight such as a weight vest or a slam ball. Adding additional weight to your workout helps to increase muscle tone and resistance. (see related products below). Manufactured of 2" x 2" 12 gauge steel, this rack also provides comfort with a solid steel foot plate, adjustable calf pads and adjustable hip pads so that the user may find the perfect adjustment for preferred comfort. Hip pads adjust from 26.5" to 32" from floor. Valor Fitness CB-13 rack can be used facing down (reverse sit up) or on your side using either just your own body weight or with additional weight. For use with up to 350lbs.